An American company has adopted an Australian tree with the hope of growing high value crops whilst restoring depleted agricultural lands. 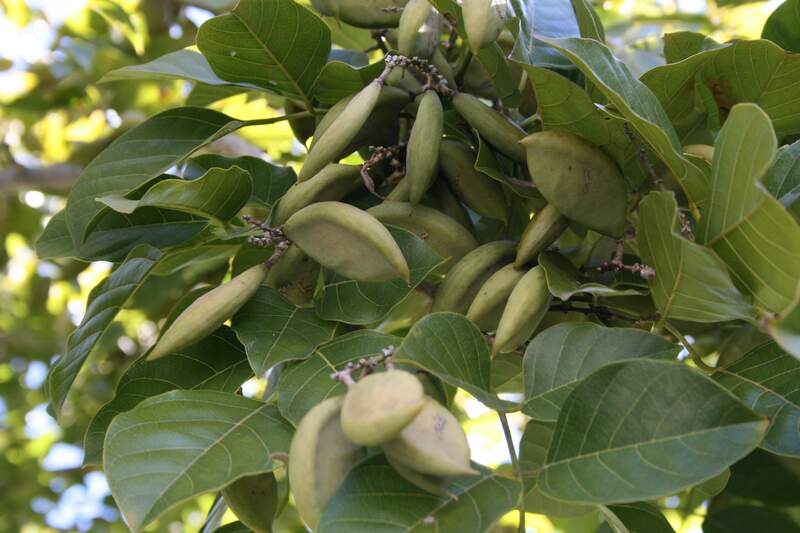 The low-maintenance Pongamia tree produces oilseeds that can be processed for biofuel as well as a host of other downstream products. Pongamia trees produce ten times more oil per acre compared to soy, three times more protein, but use 75% less water and chemical inputs. As a legume, Pongamia trees also fix their own nitrogen. The project is being spear headed by Terviva, an investor-backed venture that has catalogued the genetics of Pongamia genetics to identify high-yielding varieties suitable for cultivation in America. As well as propagating young trees to supplying growers with, Terviva also offers processing, sales and marketing services to their clients. Back in Australia, researchers have been working to determine the potential for the Pongamia tree to be grown on a commercial scale. One project in Roma, Queensland, looked at the use of Pongamia trees as a biodiesel source, while offsetting excess water produced on local gas fields. Owned by Origin Energy, the 300-hectare block of land was planted with 170,000 trees in 2010, which are irrigated with treated water from the Spring Gully reverse osmosis plant. While the trees have started to yield good quantities of seeds, an issue with occupational health and safety has held up wide scale harvesting. “The risk of fire from machinery on a gas field has prevented any mechanical harvesting, “ said George Muirhead, Director of BioEnergy Plantations Australia – one of the collaborators involved in the trial. Mr Muirhead says that many smaller players have started experimenting with Pongamia trees, but warns that volume is critical to develop a profitable economy of scale. “It’s crystal ball stuff, but I suspect that farmers will start to become more serious about growing Pongamia trees once the world oil price rises above $60 a barrel”. As well as interest from Japan, Mr Muirhead says many Councils have expressed interest in the technology as a sustainable, closed-loop energy system. “Potentially they could plant Pongamia trees, harvest and process the oil into a source of biofuel for Council vehicles”. “There’s also potential for station owners to grow the trees and use a gasifier to convert the meal and shell into electricity. As the price of electricity increases and gasification technology improves, this could provide cheap and reliable power to the most remote locations”.